The Royal Enfield Thunderbird 350X and 500X have been launched. Both motorcycles are a re-stylized version of the standard Thunderbird 350 and 500. The Thunderbird 350X features a price tag of Rs.1.56 Lakh (ex-showroom) and 500X has been priced at Rs. 1.98 Lakh (ex-showroom). The bikes continue to share their platform with the standard motorcycles. The new 350X and 500X sit above their respective standard models. 350X is Rs. 7000 more expensive than the standard variant and 500X is Rs. 8000 pricier than its counterpart. The bikes have been redesigned to be more sporty and suitable for the streets. 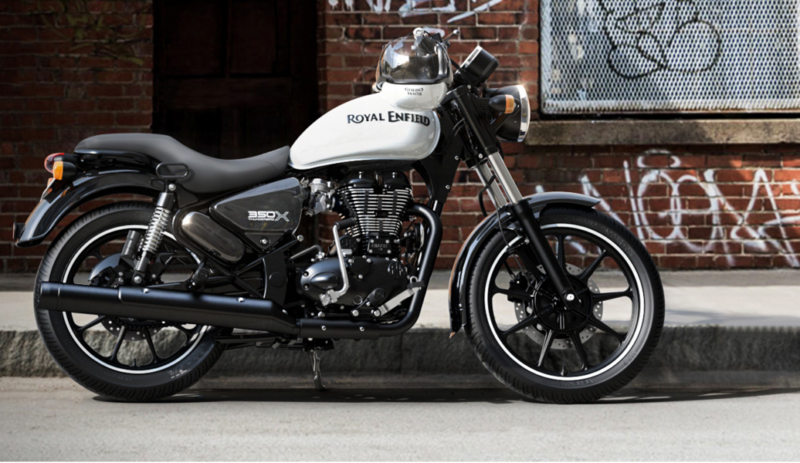 Royal Enfield has done away with the spoke wheels and instead, the motorcycles now ride on 19-inch alloy wheels at the front and 18inch alloys at the rear. The wheels are wrapped into 90/90 tubeless tyres at the front and the rear wheel gets 120/80 rubber. The tall handlebars have been replaced with shorter clip-on esque units. This treatment is expected to improve the ride and manoeuvrability of these bikes. The split seat setup has been replaced by a single-piece unit. This mechanical revision of the motorcycles will enable them to offer better city commuting abilities as opposed to the restricted cruiser setup. In terms of aesthetics, in lieu of the chrome treatment on the standard bikes, the X models get blackened front forks, instrument cluster, gauges, side panels and exhaust pipes. The teardrop fuel tank gets bright colour schemes which encompass blue and red for 500X and yellow and Orange for the 350X. The new motorcycles are offered with the same engine options as the standard models.350X is powered by a 346cc single-cylinder, air-cooled motor which produces 20 PS of power and 28Nm of Torque. The 499cc mill in 500X continues to deliver 27.5PS of power and 41.3Nm of torque. At the front of the motorcycles, we find 41mm telescopic forks and twin gas-charged rear shock absorbers at the rear. Neither of the motorcycles is offered with ABS and they will rival the likes of Bajaj Dominar, Bajaj Avenger and Mahindra Mojo.